Dental hygienists are specifically trained to keep your teeth as clean and healthy as possible. They are primarily concerned with your gum health and provide you with the proper information to maintain your oral care at home. Not all dental practices have a dental hygienist. At Brightleaf Dental, your family, cosmetic, neuromuscular (TMJ), sleep disorder and holistic dentist in Santa Monica, we think that dental hygiene is of the utmost importance to maintain your oral and overall health. Our dental hygienists can also fulfil some of the work when Dr. Brightleaf is not available, making our dental practice more professional, accessible and effective. Why is maintaining your oral health so important? Regular cleaning, combined with checking the status of your gum health will help keep your teeth and mouth healthy. Regular visits with a dental hygienist will help you to maintain a fresh breath, improve your appearance and keep your entire body healthy. Is dental hygiene treatment expensive? 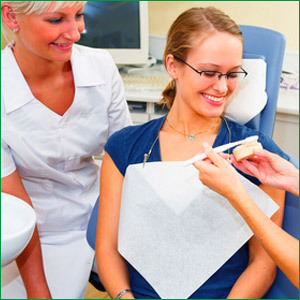 The costs of dental hygiene treatment will always vary depending on what is being done, and from practice to practice. At Brightleaf Dental, we think it’s fair to find out the dental hygiene cost before you start, upon your request. Does dental hygiene treatment hurt? No worries! 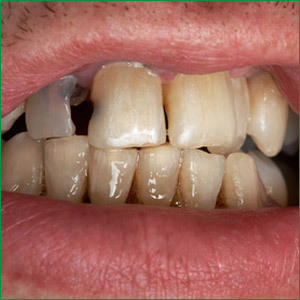 Scaling and polishing (cleaning process) is usually pain free. If you experience any discomfort, we will provide some ‘magic’ to make you feel more relaxed. We use natural remedies to help keep you calm and pain-free. Why doesn’t Dr. Brightleaf do the dental hygiene work? Some dentists will and can do this type of work. However, a dental hygienist has received specific education to carry out scaling and polishing and can spend more time with you. Spending more time also means that they have more time to teach you how to look after your teeth and gums. Our dental hygienists will make the correct number of appointments with you to get your gums healthy and ready of additional treatment by Dr. Brightleaf when it is required. Can a dental hygienist help prevent oral diseases? Absolutely! Protecting your oral health is what your dental hygienists are trained to do. Gum (or periodontal) disease has been linked to tooth loss, heart attack, stroke, kidney failure, diabetes and more. You should really think seriously about it. Your mouth is a place where bacteria can invade. When these bacteria get the chance to nestle on your gums, they can spread, via your bloodstream, through your entire body. At Brightleaf Dental, our dental hygienists can help you develop a routine that will prevent teeth decay and gum disease. Schedule regular dental hygiene visits to keep your mouth healthy.